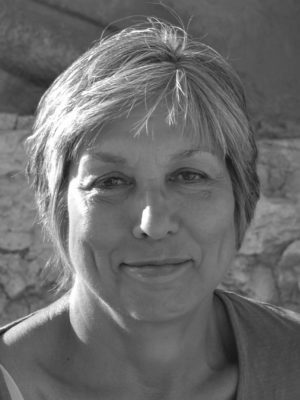 Cath Tate is co-author with Nicola Streeten of The Inking Woman, published by Myriad in March 2018. She set up Cath Tate Cards in the early 1980s initially to produce political (anti-Thatcher) and feminist postcards. 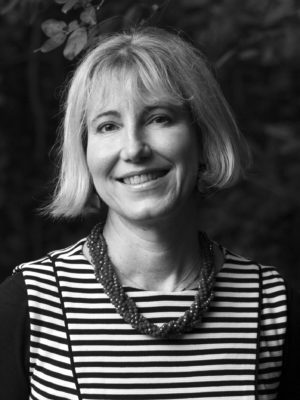 Her popular series of thematic gift books, ‘The wit and wisdom of Cath Tate’, is based on her collection of vintage photographs. 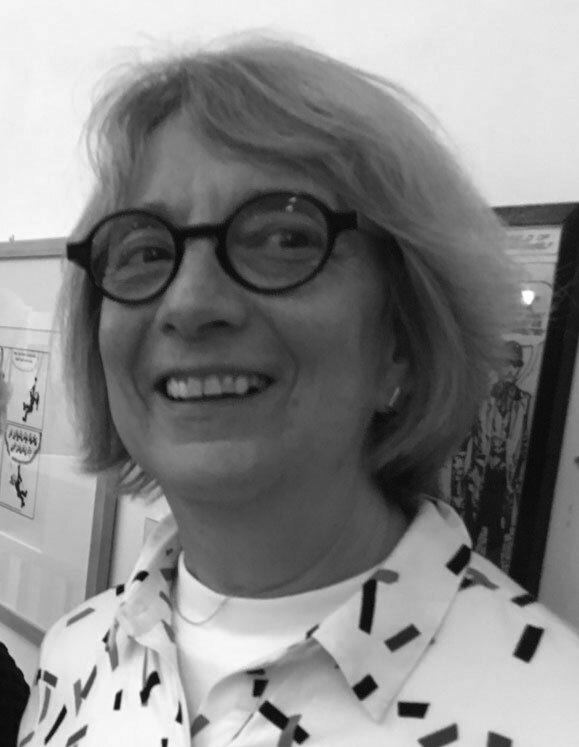 During the 1980s and 90s she published cards showing the work of many of the feminist cartoonists active at the time and conceived the idea of an exhibition and a book showing the work of women cartoonists. 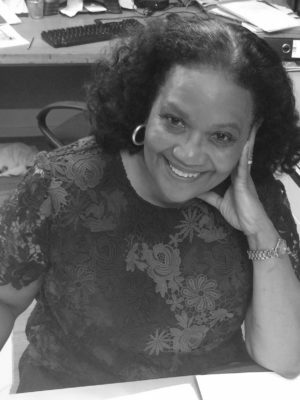 In the early 1990s she collaborated with Carol Bennett producing the FANNY and Dykes Delight comics which showed the work of women comic artists. 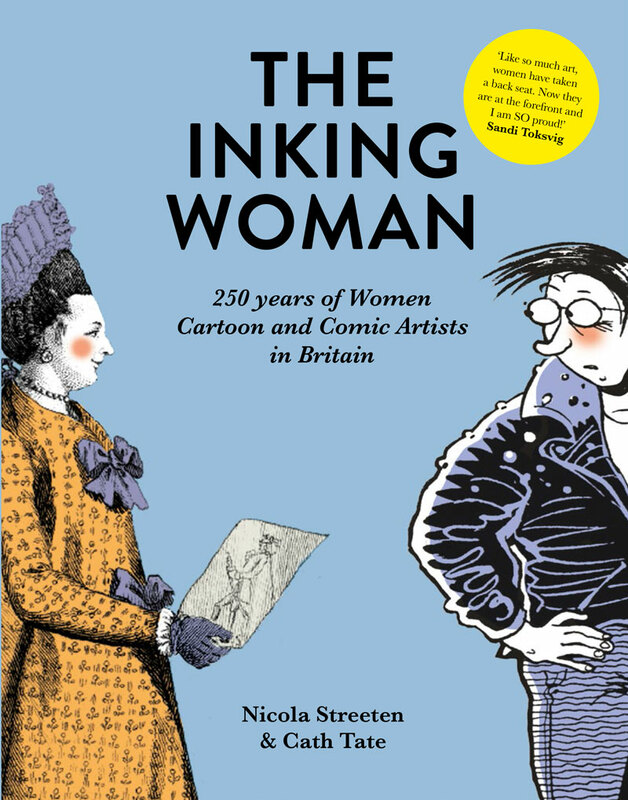 In 2017 she helped to curate ‘The Inking Woman’ exhibition at the Cartoon Museum in London with Kate Charlesworth, Anita O’Brien and Corinne Pearlman. Both the book and the exhibition have been made possible thanks to the support of Cath Tate Cards.